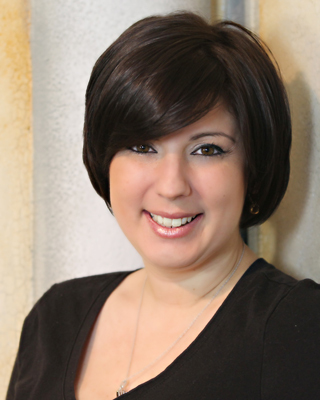 Christine Miserandino is a writer, blogger, speaker and patient advocate from NY. She is someone living life with Lupus. 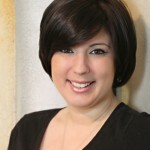 Her award winning writing has been featured in numerous newspapers, magazines, medical newsletters and television media. From the age of fifteen, Christine Miserandino has been diagnosed with a myriad of illnesses from Chronic Fatigue Syndrome to Epstein Barr, and finally, many years later to a determination of Lupus. Though battling a shopping list of symptoms, Christine has consistently been told, by both well-wishers and doctors alike, “But you don’t look sick.” as if that was some kind of compensation for being chronically ill. Many times, being pretty or not sickly looking, made it harder to validate an illness you cannot see. Christine started out life with dreams of being a dancer on Broadway. She was classically trained for years and studied at The High School of Performing Arts in New York City. She enjoyed acting, modeling and dancing. Just when a dancing career was on the brink, she was told that dancing would not be a good career choice for someone with joint pain. Christine studied at Hofstra University. It was there that she first discovered writing about her broad range of feelings, gave her a needed outlet and a voice to her pain. She switched her creative focus from theatre and dance and found a new focus in marketing. During her years at Hofstra University, she was a resident assistant, an active member of her sorority Phi Sigma Sigma, and she was a Homecoming Queen finalist. Although she had a full collegiate career, she had to spend most nights in bed, instead of at parties. She had to work twice as hard to get half the results of her peers in classes, because she was in pain or was exhausted and found it hard to concentrate. Unfortunately, her limitless career was cut short due to complications with her illness. She was forced to leave school because a flare with Lupus was out of control. Plagued with heart and breathing problems, as well as pain and debilitating fatigue, Christine was left with no other choice but to take a medical leave from both school and her job. While most young adults are concentrating on their future careers, salaries, or a love life, Christine was worrying about medications, hospital stays and how to pay her bills. Christine is currently a member of the board of directors for the Lupus Alliance of America (National) as well as the Lupus Alliance of America Long Island/Queens Affiliate. Her passion is helping those with Lupus through her writing, speaking, volunteering, and work as a patient advocate. Christine was recently named an honoree at the 2008 Lupus Alliance Long Island/Queens Gala in recognition of her volunteer efforts. She also and enjoys spending time with her husband, puppy, and daughter Olivia. You have created a wonderful analogy with the spoon theory; it applies to so many types of illnesses that are not readily apparent to the eye. What a wonderful friendship you have with the woman who gently insisted that you tell her what it’s like for you. I would add that every day is different: when we wake up, there’s no way to know how many spoons we’ll have for that day. This makes it very difficult to plan ahead. I hate so much having to cancel plans that I’ve looked forward to, but when the spoons are gone, they’re gone! Other people have a very difficult time understanding this. I live with dysthymia and diabetes, and the spoon theory is a blessing to me. Wow. Your story touched me! Your life story sounds just like mine, because I too have been struggling with my health.. since birth. Now I am struggling with my health, medications, and medical bills.. while attending college. I also cannot concentrate at school because of all the pain I go through. I am on more medication than most elderly people and I am only 21. I understand the financial situation and why you had to drop out due to health reasons.. There have been many times where I have wished I could do that. But of course I can’t because of the insurance. I have always thought it was strange how some people were so lucky when it comes to life and health, while other people seem so cursed with health and life’s struggles. But the people who have so many struggles seem to become stronger people and be able to deal with anything with their chins up!! Thanks for sharing your story. You are an inspiration and you give me hope! Your spoon theory is simply brilliant. Really hit a chord, as I too live with a chronic condition (fibromyalgia plus other complications). But the emphasis is on “LIVE”. Like you, I explore my new boundaries and healing every day and have found a new profession that helps me help others do the same. Thank you for your great site. I will share it with my clients. Merry Christams and a Very Happy New Year ! I’ve been diabetic for over 2 decades and didn’t have the exhaustion, but the constant worry about food, how much and what to eat, and what does my bg do, and feeling like I’m just sick of the whole thing and wish I could just eat like a normal person. A year ago, I had a heart attack, unsuccessful angioplasty, then a bypass. I’ve never recovered and, in fact, the exhaustion is worse now than right after the surgery when I was on the Fentanyl patch and Percocet. I’m researching all sorts of things, chronic fatigue, adrenal disorders, thyroid disorders, trying to figure out what my problem is. I ran across “spoons” on a thyroid mailing list. I read it to my husband IMMEDIATLY. And he “gets” it now! He has been saying for some time that I don’t “seem” disabled. And that is because I save up most of my spoons to “spend” on time with him! The very next day, we’re making tentative plans and he asks me do I have enough spoons for that. He gets it! I also think we also both understand our friend with fibromyalgia a lot better. She never *seemed* disabled at all, but she’s just not got many spoons either. I sent her a copy of it. Thank you for writing that – it’s a wonderful analogy for folks with all sorts of problems. To be able to explain ourselves, to be able to understand each other – what an awesome gift you’ve given us. Hi, I’m Mei Jun a librarian from NLB. I found your blog useful and recommended it on our ASK! blog. Thank you and have a nice day! I have read so much about an individual named “Christine” and her family who were going to be honored so I knew that you must have done something really extraordinary to deserve that recognition by the Lupus organization. I am suffering from this disease now more than I ever have. I developed this disease from a toxic pregnancy that was undiagnosed until the week before I delivered, back in 1886. Just recently in January 2006, Lupus has now effected my Central Nervous System where I suffered with seizures and I was hospitalized in ICU for 13 days…my employer after 24 yrs has now fired me and I am on disability, trying to provide for my 2 sons alone- since I am also going through a very difficult divorce. Life is very difficult and YOU SEEM TO BE AN INSPIRATION!! I HOPE OUR PATHS WILL CROSS SOON ONE DAY !! THANK YOU …. your spoon story has made it so much easier for me to explain to everyone around me how my day to day life is. as I read though it the first time I caught myself nodding and agreeing with everything you said. word for word. I deal with probably one of the worst you don’t look sick ailments. Fibromyalgia. by no means do I show any physical reasons other then stiffness and the popping of joints regularly assonated with standard arthritis. but with fibro. degenerative disk disease and a hyper clotting factor that has caused me to developed not 1 but 4 chronic pulmonary emboli . Your spoon story really helps me put to light what I go though every day to people who look at me like I’m just trying to live of the public taxpayers money that is welfare and disability payments. I don’t know how many times I had to explain to people just what I go though day after day… just to get what little I get now. Let alone 1/3 the medical equipment I need and should be using regularly like a wheelchair. And all of it because I do not look sick. Thank you for not only helping me explain it in a way others will understand. But being who you are and sharing your story with people like me so that we may somehow benefit from your understanding. WOW- I just happenned to find this site while looking for a movie review (The Bucket List). I am 42 and have been living with advanced stage 4 breast cancer for over 4 years, but do not look sick (I still have my long hair, good weight, skin etc). I really thought I might be alone in this strange paradox – it is so refreshing to hear someone else’s take the “but you don’t look sick” issue. I felt like someone had been following me with a camera for a while! It is indeed a double edged sword to be so ill and look so good! Not many people understand that. Love the website – I heard that all the time – also went to Hofstra – you’re doing well!